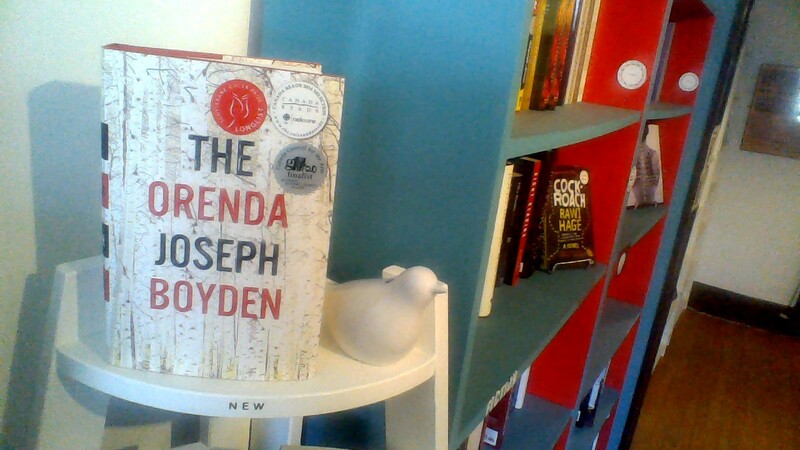 …”The Orenda” by Joseph Boyden! Started in 2001, Canada Reads is CBC’s annual battle of the books, where five Canadian personalities select the book they think Canadians should read. Each personality selects a book to defend and the books are eliminated one by one until a winner is declared. A visceral portrait of life at a crossroads, “The Orenda” opens with a brutal massacre and the kidnapping of the young Iroquois Snow Falls, a spirited girl with a special gift. Her captor, Bird, is an elder and one of the Huron Nation’s great warriors and statesmen. It has been years since the murder of his family and yet they are never far from his mind. In Snow Falls, Bird recognizes the ghost of his lost daughter and sees the girl possesses powerful magic that will be useful to him on the troubled road ahead. Bird’s people have battled the Iroquois for as long as he can remember, but both tribes now face a new, more dangerous threat from afar. If you know a little about Backbeat, one of the things we have championed right from the beginning is a love and promotion of Canadian authors, which is why we’re so excited about competitions like Canada Reads. In order to further promote “The Orenda”, we are offering this title in hardcover or paperback at 30% off the cover price until December 31, 2014! More copies are on their way to the shop as we type! So, remember to support local, support Canadian and support Joseph Boyden as he shares his win with the entire country! Next Post Fresh vinyl releases – now in stock.